Daniel Brunner (DPhil, University of Oxford) is professor of Christian history and formation at Portland Seminary. He has served at the seminary since 1995. 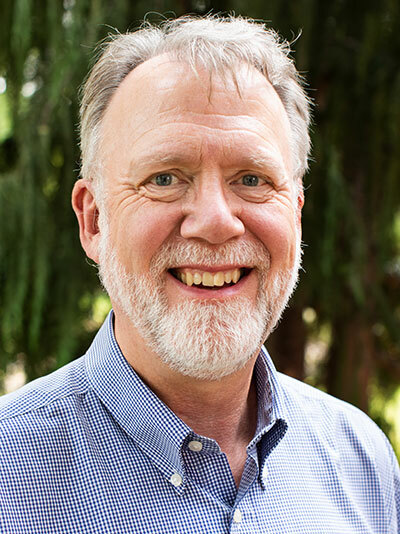 Before joining the team at Portland Seminary, Brunner served as a full-time pastor in Beaverton, Oregon. He belongs to Urban Abbey, an intentional community in north Portland, and is passionate about his family (including three granddaughters), good friendships, his garden, and an early-morning time of quiet to pray, drink freshly roasted coffee, reflect and journal on Scripture, and read eclectically. Among his favorite authors are Wendell Berry, Susan Howatch, Ched Myers, Henri Nouwen, Mary Doria Russell, Richard Rohr, Kathleen Norris, Dietrich Bonhoeffer, J.K. Rowling, Chinua Achebe, Ellis Peters and many more. He belongs to two book groups and loves movies, whether in the theater or on Netflix. His sports teams are the Oregon Ducks, Seattle Mariners, Portland Trail Blazers and Seattle Seahawks. As a lifelong Lutheran, he has served the church in many capacities: director of youth ministry, associate pastor, and church planter. Brunner is currently a member of Salt & Light Lutheran Church in Portland, and is a frequent guest preacher at local churches. He leads seminars, adult forums, Myers-Briggs trainings, and retreats, and is on the permanent teaching team for the Academy of Soul Formation. Christian spirituality and the paradoxes of the Christian life, German Lutheran Pietism, hybrid learning and pedagogy, ecotheology, Luther's theology of the cross.